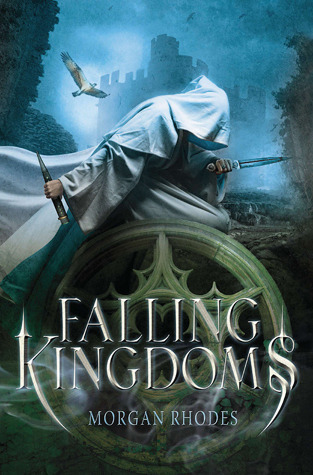 Falling Kingdoms by Morgan Rhodes was kindly provided to me by Netgalley for Penguin Teen Australia / Razorbill. The gorgeous cover is what originally piqued my interest in Falling Kingdoms which follows the territories of Auranos, Paelsia and Limeros who are on the brink of war, their subjects' lives affected in the quest for power, which as a result could mean the fall of the kingdoms. The four main characters are Princess Cleo from Auranos, Peasant Jonas from Paelsia and Lucia and Magnus both from Limeros; each playing a pivotal role in the story with their fates all linked. Each character was interesting enough although none overly likeable and with the number of secondary characters, I felt it caused the main cast to be underdeveloped. Falling Kingdom’s world building is quite strong, and the combination of stories from the different kingdoms enjoyable but I felt the pacing moved quite slowly up until the ending which was rushed and certain plot points were predictable. I have read quite a few fantasy novels lately but Falling Kingdoms was just an ok read for me, I didn't enjoy it as much as I thought I would. There were a lot of elements that I didn’t quite understand and way too many characters which didn’t really allow me to connect with any of them. Falling Kingdoms plot whilst intriguing was also complex with the politics and conspiracies; we are given a few twists and turns which kept events interesting but there was nothing that was really new for me. Overall, whilst the premise of Falling Kingdoms was intriguing and Ms. Rhodes writing enjoyable; the storyline unfortunately didn’t hold my interest nor did the many characters. 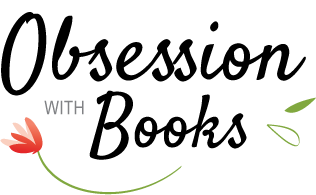 Thank-you to Penguin Teen Australia / Razorbill for the opportunity to read and review Falling Kingdoms. NOOOOOO!! another awesome book I could not wait to read this year..oh I am do disappointed. Great review and sorry it didn't hold your interest. OH NO! I actually added this to my TBR because of the premise and the cover too! D: And I have to agree with you, I hate it when there is so many characters that the reader gets diverted from the main cast. Too bad, this turned out less than enjoyable for you. Bummer!! I'm sorry you didn't enjoy this one that much. :( I have an ARC of Falling Kingdoms but I've been a little afraid to read it.. I've heard it compared to A Game of Thrones but I honestly didn't like that series (I know.. I know.. I feel like the only one).